Hi everyone! How are you guys enjoying your 3 day weekend? I go back to Chicago later tonight and I am already missing my family by just the thought of leaving. I did promise you my mama’s hilbeh recipe before I left and here it is! 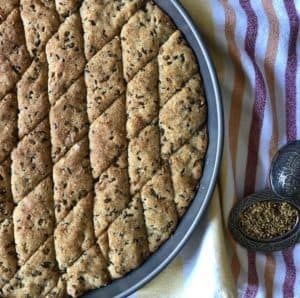 Hilbeh is one of those Middle Eastern desserts that you either love or hate. Some people do not like the smell of the fenugreek seeds but it doesn’t bother me. The cake itself is not sweet at all. The syrup is what adds the sweetness to this dessert. Fenugreek seeds actually have severeal benefits. Its great for decreasing inflammation and cholestorol. It is said to improve digestive health and so much more. So, I guess you can feel a little less guiltier when indulging with this dessert. Mix together and let it simmer for 10-15 minutes till sticky. Boil the seeds in a pot with one cup of water for at least 10 minutes until tender. Take the seeds out but keep water to the side. Do not discard the water. Mix together everything but the yeast. In a small bowl, mix the yeast, sugar, and 2 tbsp water. Mix together. Set aside for 5 minutes. Then mix in with the rest of the batter. 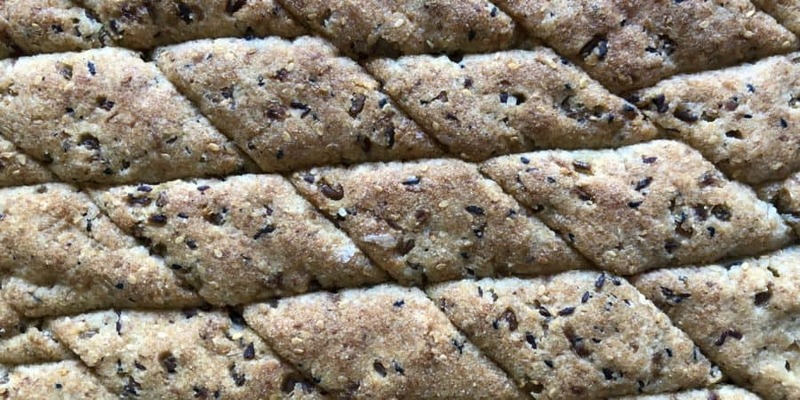 If the dough seems on the tougher side, slowly add some of the water lefover from the seeds till softer and easier to work with. Spray pan with olive oil. Add the batter and spread out. Let it rest covered in plastic wrap on room temperature for one hour. Then slice the pieces before placing in the oven. Bake for about 30 minutes. Then broil for 2 minutes for a golden brown color. Once out of the oven, soak in the syrup which should be cold by now. Enjoy! Yes! That is also very true 🙂 Let me know what you think!